LOCATION.--Lat 42°25'38", long 76°31'18" referenced to North American Datum of 1983, Tompkins County, NY, Hydrologic Unit 04140201, on left bank, on the upstream abutment face of flood-control weir, at east end of unnamed gravel road, 0.3 mi east of State Highway 13A, 0.9 mi downstream from Buttermilk Creek and 2.4 mi upstream from mouth. PERIOD OF RECORD.--Water years 1971-72, 1975-2005 (annual maximum only). June 2012 to current year. GAGE.--Water-stage recorder. Datum of gage is 379.97 ft above NGVD of 1929 and 379.38 ft above NAVD of 1988 (VERTCON). REMARKS.--Water Years 2014-15: Records good except those for estimated daily discharges, which are fair. Water Years 2016-18: Records fair except those for estimated daily discharges, which are poor. 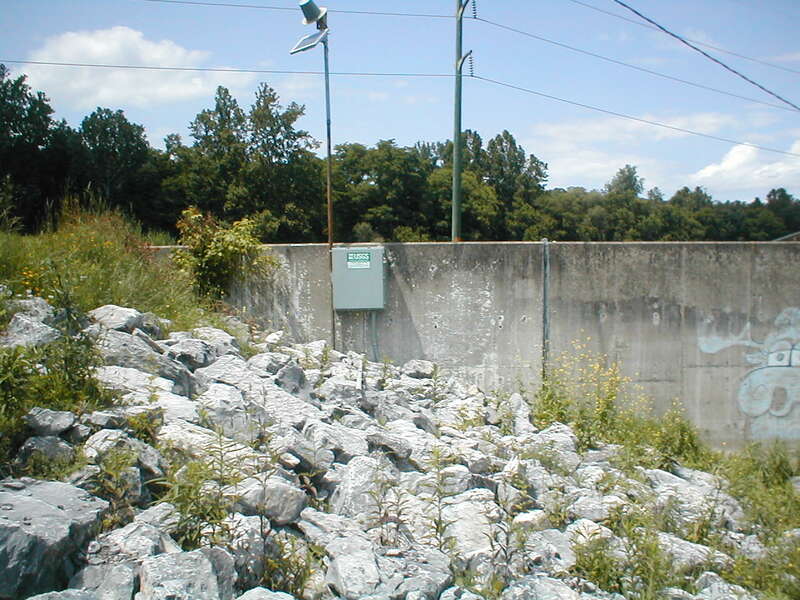 EXTREMES FOR PERIOD OF RECORD.--Maximum discharge, 12,500 ft³/s, Jan. 19, 1996, gage height, 14.67 ft, from rating curve extended above 1,600 ft³/s on basis of flow-over-dam measurement at gage height 14.60 ft; minimum discharge, 2.4 ft³/s, Sept. 5, 6, 8, 2016; minimum gage height, 4.22 ft, Aug. 9, 2016.